Fairytale favorites share the spotlight on this Disney Princess Upholstered Chair from Delta Children! 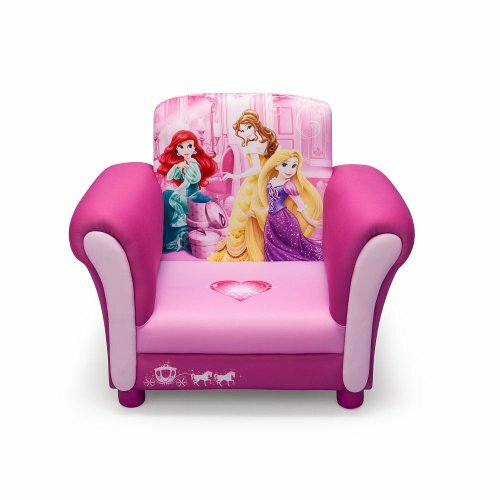 Featuring a colorful illustration of your girl's favorite royals, Belle, Ariel and Rapunzel, this chair with a sturdy frame and pretty pink color will meet any little princesses royal standard.. Recommended for ages 3-6 Holds up to 100 lbs. Here and There Kids Chair - Gray Elephant .